3700501 403 JCB 403 Wheel Loader. Spare Parts Catalog. Service (workshop) Manual. Operator's Instruction Manual. 3700502 406 JCB 406 Wheel Loader. Spare Parts Catalog. Service (workshop) Manual. Operator's Instruction Manual. 3700503 406 Farm Master JCB 406 Farm Master Wheel Loader. Spare Parts Catalog. Service (workshop) Manual. Operator's Instruction Manual. 3700504 407 JCB 407 Wheel Loader. Spare Parts Catalog. Service (workshop) Manual. Operator's Instruction Manual. 3700505 407BZX JCB 407BZX Wheel Loader. Spare Parts Catalog. Service (workshop) Manual. Operator's Instruction Manual. 3700506 407FM JCB 407FM Wheel Loader. Spare Parts Catalog. Service (workshop) Manual. Operator's Instruction Manual. 3700507 407ZX JCB 407ZX Wheel Loader. Spare Parts Catalog. Service (workshop) Manual. Operator's Instruction Manual. 3700508 407B JCB 407B Wheel Loader. Spare Parts Catalog. Service (workshop) Manual. Operator's Instruction Manual. 3700509 408 JCB 408 Wheel Loader. Spare Parts Catalog. Service (workshop) Manual. Operator's Instruction Manual. 3700510 408 Farm Master JCB 408 Farm Master Wheel Loader. Spare Parts Catalog. Service (workshop) Manual. Operator's Instruction Manual. 3700511 408BZX JCB 408BZX Wheel Loader. Spare Parts Catalog. Service (workshop) Manual. Operator's Instruction Manual. 3700512 408ZX JCB 408ZX Wheel Loader. Spare Parts Catalog. Service (workshop) Manual. Operator's Instruction Manual. 3700513 408B JCB 408B Wheel Loader. Spare Parts Catalog. Service (workshop) Manual. Operator's Instruction Manual. 3700514 409 JCB 409 Wheel Loader. Spare Parts Catalog. Service (workshop) Manual. Operator's Instruction Manual. 3700515 409BZX JCB 409BZX Wheel Loader. Spare Parts Catalog. Service (workshop) Manual. Operator's Instruction Manual. 3700516 409FM JCB 409FM Wheel Loader. Spare Parts Catalog. Service (workshop) Manual. Operator's Instruction Manual. 3700517 409TM JCB 409TM Wheel Loader. Spare Parts Catalog. Service (workshop) Manual. Operator's Instruction Manual. 3700518 409ZX JCB 409ZX Wheel Loader. Spare Parts Catalog. Service (workshop) Manual. Operator's Instruction Manual. 3700519 409B JCB 409B Wheel Loader. Spare Parts Catalog. Service (workshop) Manual. Operator's Instruction Manual. 3700520 410 Dozer JCB 410 Dozer Wheel Loader. Spare Parts Catalog. Service (workshop) Manual. Operator's Instruction Manual. 3700521 410B ZX JCB 410B ZX Wheel Loader. Spare Parts Catalog. Service (workshop) Manual. Operator's Instruction Manual. 3700522 410ZX JCB 410ZX Wheel Loader. Spare Parts Catalog. Service (workshop) Manual. Operator's Instruction Manual. 3700523 410B JCB 410B Wheel Loader. Spare Parts Catalog. Service (workshop) Manual. Operator's Instruction Manual. 3700524 410 JCB 410 Wheel Loader. Spare Parts Catalog. Service (workshop) Manual. Operator's Instruction Manual. 3700525 411 JCB 411 Wheel Loader. Spare Parts Catalog. Service (workshop) Manual. Operator's Instruction Manual. 3700526 411B JCB 411B Wheel Loader. Spare Parts Catalog. Service (workshop) Manual. Operator's Instruction Manual. 3700527 411B ZX JCB 411B ZX Wheel Loader. Spare Parts Catalog. Service (workshop) Manual. Operator's Instruction Manual. 3700528 411ZX JCB 411ZX Wheel Loader. Spare Parts Catalog. Service (workshop) Manual. Operator's Instruction Manual. 3700529 412 JCB 412 Wheel Loader. Spare Parts Catalog. Service (workshop) Manual. Operator's Instruction Manual. 3700530 412S JCB 412S Wheel Loader. Spare Parts Catalog. Service (workshop) Manual. Operator's Instruction Manual. 3700531 414S JCB 414S Wheel Loader. Spare Parts Catalog. Service (workshop) Manual. Operator's Instruction Manual. 3700532 415 JCB 415 Wheel Loader. Spare Parts Catalog. Service (workshop) Manual. Operator's Instruction Manual. 3700533 415 Dozer JCB 415 Dozer Wheel Loader. Spare Parts Catalog. Service (workshop) Manual. Operator's Instruction Manual. 3700534 416 JCB 416 Wheel Loader. Spare Parts Catalog. Service (workshop) Manual. Operator's Instruction Manual. 3700535 416B JCB 416B Wheel Loader. Spare Parts Catalog. Service (workshop) Manual. Operator's Instruction Manual. 3700536 416S JCB 416S Wheel Loader. Spare Parts Catalog. Service (workshop) Manual. Operator's Instruction Manual. 3700537 420 JCB 420 Wheel Loader. Spare Parts Catalog. Service (workshop) Manual. Operator's Instruction Manual. 3700538 420 Dozer JCB 420 Dozer Wheel Loader. Spare Parts Catalog. Service (workshop) Manual. Operator's Instruction Manual. 3700539 423 JCB 423 Wheel Loader. Spare Parts Catalog. Service (workshop) Manual. Operator's Instruction Manual. 3700540 425 JCB 425 Wheel Loader. Spare Parts Catalog. Service (workshop) Manual. Operator's Instruction Manual. 3700541 425 Dozer JCB 425 Dozer Wheel Loader. Spare Parts Catalog. Service (workshop) Manual. Operator's Instruction Manual. 3700542 426 JCB 426 Wheel Loader. Spare Parts Catalog. Service (workshop) Manual. Operator's Instruction Manual. 3700543 426B JCB 426B Wheel Loader. Spare Parts Catalog. Service (workshop) Manual. Operator's Instruction Manual. 3700544 426E JCB 426E Wheel Loader. Spare Parts Catalog. Service (workshop) Manual. Operator's Instruction Manual. 3700545 428 JCB 428 Wheel Loader. Spare Parts Catalog. Service (workshop) Manual. Operator's Instruction Manual. 3700546 428C JCB 428C Wheel Loader. Spare Parts Catalog. Service (workshop) Manual. Operator's Instruction Manual. 3700547 430 JCB 430 Wheel Loader. Spare Parts Catalog. Service (workshop) Manual. Operator's Instruction Manual. 3700548 430 Dozer JCB 430 Dozer Wheel Loader. Spare Parts Catalog. Service (workshop) Manual. Operator's Instruction Manual. 3700549 430Z JCB 430Z Wheel Loader. Spare Parts Catalog. Service (workshop) Manual. Operator's Instruction Manual. 3700550 430ZX JCB 430ZX Wheel Loader. Spare Parts Catalog. Service (workshop) Manual. Operator's Instruction Manual. 3700551 430Z India JCB 430Z India Wheel Loader. Spare Parts Catalog. Service (workshop) Manual. Operator's Instruction Manual. 3700552 432 ZX JCB 432 ZX Wheel Loader. Spare Parts Catalog. Service (workshop) Manual. Operator's Instruction Manual. 3700553 434S JCB 434S Wheel Loader. Spare Parts Catalog. Service (workshop) Manual. Operator's Instruction Manual. 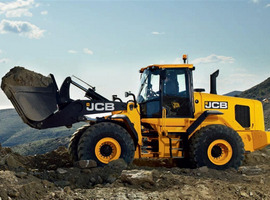 3700554 435 JCB 435 Wheel Loader. Spare Parts Catalog. Service (workshop) Manual. Operator's Instruction Manual. 3700555 436 JCB 436 Wheel Loader. Spare Parts Catalog. Service (workshop) Manual. Operator's Instruction Manual. 3700556 436B JCB 436B Wheel Loader. Spare Parts Catalog. Service (workshop) Manual. Operator's Instruction Manual. 3700557 436E JCB 436E Wheel Loader. Spare Parts Catalog. Service (workshop) Manual. Operator's Instruction Manual. 3700558 446 JCB 446 Wheel Loader. Spare Parts Catalog. Service (workshop) Manual. Operator's Instruction Manual. 3700559 446B JCB 446B Wheel Loader. Spare Parts Catalog. Service (workshop) Manual. Operator's Instruction Manual. 3700560 456 JCB 456 Wheel Loader. Spare Parts Catalog. Service (workshop) Manual. Operator's Instruction Manual. 3700561 456B JCB 456B Wheel Loader. Spare Parts Catalog. Service (workshop) Manual. Operator's Instruction Manual. 3700562 456E JCB 456E Wheel Loader. Spare Parts Catalog. Service (workshop) Manual. Operator's Instruction Manual. 3700563 TM180 JCB TM180 Wheel Loader. Spare Parts Catalog. Service (workshop) Manual. Operator's Instruction Manual. 3700564 TM200 JCB TM200 Wheel Loader. Spare Parts Catalog. Service (workshop) Manual. Operator's Instruction Manual. 3700565 TM220 JCB TM220 Wheel Loader. Spare Parts Catalog. Service (workshop) Manual. Operator's Instruction Manual. 3700566 TM270 JCB TM270 Wheel Loader. Spare Parts Catalog. Service (workshop) Manual. Operator's Instruction Manual. 3700567 TM300 JCB TM300 Wheel Loader. Spare Parts Catalog. Service (workshop) Manual. Operator's Instruction Manual. 3700568 TM310 JCB TM310 Wheel Loader. Spare Parts Catalog. Service (workshop) Manual. Operator's Instruction Manual. 3700569 TM310S JCB TM310S Wheel Loader. Spare Parts Catalog. Service (workshop) Manual. Operator's Instruction Manual. 3700570 TM-W JCB TM-W Wheel Loader. Spare Parts Catalog. Service (workshop) Manual. Operator's Instruction Manual.